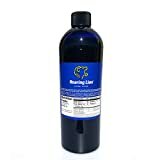 Roaring Lion is an energy drink that is similar to Red Bull but in our reviewer's opinion has a better taste and cheaper price. All variations of Roaring Lion have the same caffeine amount. Available in the USA, Canada, Europe, and Australia. 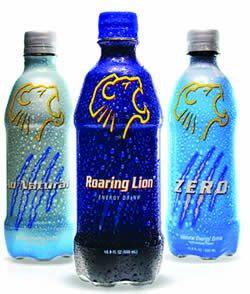 Roaring Lion Energy Drink is also available in a few size variations. 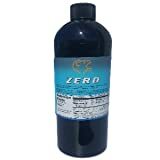 Carbonated water, sucrose, glucose, citric acid, sodium citrate, taurine, glucuronolactone, artificial flavor, caffeine, caramel, inositol, vitamin B3, vitamin B5, vitamin B6, vitamin B2, vitamin B12. Sugar content: 53 grams (per 16.9 ounces). How Does Roaring Lion Energy Drink Compare? 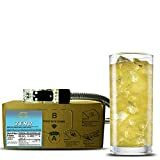 Roaring Lion Energy Drink contains 9.53 mgs of caffeine per fluid ounce (32.21mg/100 ml).